There is no denying Kangana Ranaut’s place as Bollywood’s reigning Queen and there is no doubt on her ability to dive deep into her character and feel its every emotion. 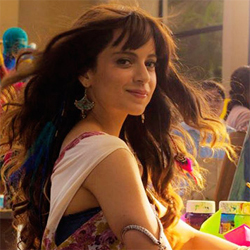 And she continues going down that path with even more gusto for the character of Payal in Nikhil Advani’s Katti Batti so much so that she needed to take a retreat after shooting the major chunk of the intense scenes. 15 queries in 1.765 seconds.